The Aussie Camino is not expensive in comparison to other multi-day walks. The total cost payable is $900. Couples who book will share a room. Single accommodation cannot be guaranteed for every night but is available most nights. For self-guided pilgrims the journey may be broken into smaller legs, however this will take longer than the usual 8 days of walking for groups conducted by the Aussie Camino. On registration $100 is payable as deposit. 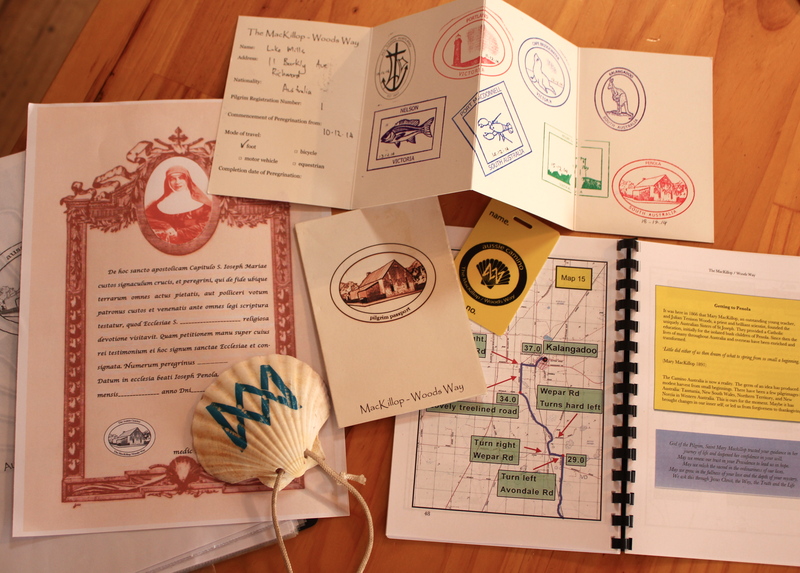 This will entitle the pilgrim to a guidebook, passport, scallop shell, bag tag and entry to the Mary MacKillop Musems in both Melbourne and Penola. Eight weeks prior to departure another $800 is payable for full registration. This will cover the cost of transport for one additional piece of luggage, a leader and all transport from Melbourne to Penola and return. In short, all costs except for meals and accommodation. For budgetary purposes pilgrims should allocate an additional $600-$800 to meet these costs for the 10 days away. Each person will receive a pilgrim number on registration. 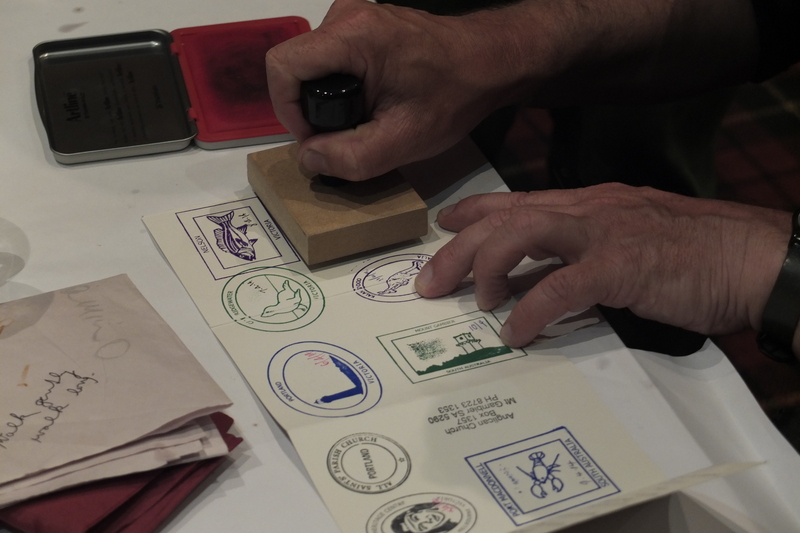 If you are to do the Aussie Camino for a second or third time, bring your old passport and you will be given the same number. The camino takes around 7 -10 days depending on how far you would like to walk in one day. Not all stages of the camino have accommodation between the towns, but certainly some of the longer ones do. With good planning, the camino could be achieved by walking around 20km per day. At this stage it is suggested that you have some sort of vehicular back-up support to assist you. If you decide you would like to come on camino in a group organised by the Aussie Camino we suggest you find out a little more about it, first of of all on this website. Afterwards prospective pilgrims may want to purchase a guidebook which provides greater details of the actual route for each day with topographic maps and markings. Background and history of places along the way are also given as well as short reflections and meditations for each day on the camino. It is important to remember that internet coverage is poor in many places along the route so a hardcopy guidebook is much more suitable. Often a pilgrim mass can be celebrated in the small chapel. Pilgrims are invited to visit the gift shop and museum both of which have an enormous amount of information on Mary MacKillop and Julian Tennison Woods. Pilgrims will then walk a short distance to catch a free tram to Southern Cross Station . From there pilgrims will take the V/line train to Warrnambool and then a connecting bus to Portland arriving around 6:20pm. Walking begins the following day. When the group arrives at Penola they will stay over one night and catch a bus and connecting train back to Melbourne the following day. This may go via Ballarat or Portland depending on the V/line timetable. Trains will arrive back at Southern Cross (Melbourne) around 9pm. For pilgrims wishing to fly out from Tullamarine, there is a connecting Skybus to the airport. (not covered in registration). It is suggested that flights are booked no earlier than 11:30pm. Please note all transport costs from Melbourne-Penola-Melbourne are covered in registration. Groups conducted by the Aussie Camino will have bags transported each day to the destination. This enables pilgrims to pack lightly and make some of the longer days more manageable. Bag transport costs are covered in registration. Pilgrims are advised to have only one additional piece of luggage of a duffel bag size. It is important to note that pilgrims must be able to carry bags about 700m for train and bus connections at the beginning and end of the camino. After signing the ‘Register of Pilgrims’ you may like to take with you some small items of assistance and memorabilia such as. The guide book contains more detailed information that may be useful for planning purposes. If you would like a guide book ($15) prior to leaving please email Luke. These are all available at the Mary MacKillop Heritage Centre. From there it is a about 4.5 hour car trip to Portland. There is also a train (to Warrnambool) and coach connection (to Portland) available. Look up the timetable on.